PM ‘totally open’ to nuclear power if economics stack up https://www.sbs.com.au/news/pm-totally-open-to-nuclear-power-if-economics-stack-up The prime minister says he will consider lifting the prohibition on nuclear power in Australia if research shows it can be done well. Prime Minister Scott Morrison says he’s open to the idea of nuclear power if research emerges showing it stacks up economically. Nuclear power has been banned in Australia since 1998, but Mr Morrison says he would consider lifting the ban if research proved it could be done on a commercial basis and bring power prices down. I’m totally open to that work,” he told Sky News on Tuesday. 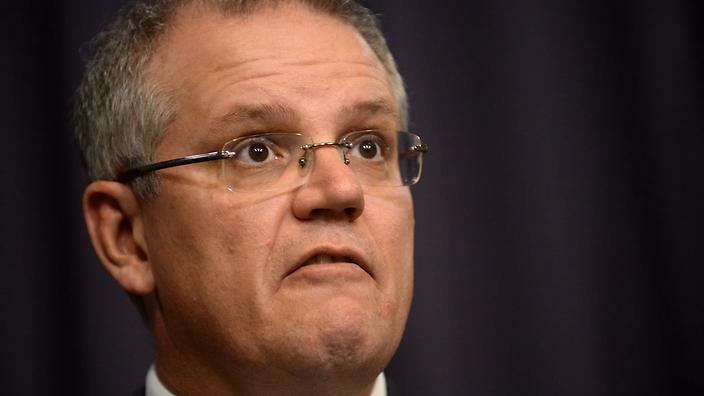 Mr Morrison said the source of Australia’s energy doesn’t bother him and he isn’t interested in an ideological debate. Prime Minister Scott Morrison confirms Australia will not be pulling out of Paris climate agreement: Why? There is no need, because it will have precisely zero impact on anything. The post PM admits Australia Paris target toothless, Coalition completely at sea on energy appeared first on RenewEconomy. Resolution calling on Origin to review membership of business groups lobbying against climate change initiatives receives 46 per cent support. “Massive”, say activists. The post Origin shareholders deliver stunning statement on anti-climate lobbying appeared first on RenewEconomy. Renew Estate wins development approval for a 120MW solar farm near Wagga Wagga, with plans to add 40MWh of battery storage, The post Renew Estate wins approval for 120MW solar farm and battery near Wagga Wagga appeared first on RenewEconomy. Electranet decision on grid upgrade on Eyre Peninsula kills prospects of mega wind farms on west coast, and also rejects battery and micro-grid alternatives. The post Grid choice for S.A.’s Eyre Peninsula locks out mega wind projects appeared first on RenewEconomy. Alinta gets approval for new transmission line in Pilbara, paving way for new solar farm and battery storage to help power some of the biggest mines in the country. The post Network approval paves way for solar and storage at some of Australia’s biggest mines appeared first on RenewEconomy. Mike Cannon-Brookes – he of the original Tesla big battery Tweet – calls “total BS” on Scott Morrison’s Sky News comments about wind and solar. Twitter does its thing. The post Billionaire calls out “total BS” on Morrison’s views of wind and solar appeared first on RenewEconomy. Spain to block Berkeley uranium mine project – sources, CNBC , Belén Carreño, 16 Oct 2018 The Spanish government has decided not to deliver the permits necessary to open the European Union’s only open-cast uranium mine near Salamanca, dealing a serious blow to Australian mining company Berkeley Energia’s plans. A neighbouring mine run by public company ENUSA was previously in operation near the site in Retortillo in Salamanca province, but closed in 2000 after it failed to turn a profit. The price of uranium fell heavily following Japan’s Fukushima nuclear disaster of 2011 and for years struggled to recover. It is widely known that ionizing radiation – radioactivity powerful enough to strip electrons from atoms, break chemical bonds of molecules, and even break chromosomes – can be extremely harmful to humans. Even at low levels, ionizing radiation has the potential to cause DNA damage resulting in an uncontrolled division of abnormal cells, or what is commonly known as cancer. While this public health threat impacts us all, the risk is dramatically greater for women and girls. For every two men who develop cancer through exposure to ionizing radiation, three women will get the disease.Further, while children as a whole are more harmed by radiation than adults, infant and young girls, when exposed, run the highest risk of cancer across their lifetime, and teenage girls will suffer almost double rates of cancer compared to boys in the same juvenile group and the same level of exposure. The information above, derived from data contained in the 2006 National Academy of Sciences Report Biological Effects of Ionizing Radiation VII, or BEIR VII, clearly shows that gender is a major factor in determining who suffers harm from exposure to ionizing radiation, yet this fact has not been widely reported and is not reflected in regulations or practice. The fact this treaty was crafted to include language referring to impact on girls and women demonstrates we have a window to examine why this is the case, which will lead to better and healthier solutions for everyone. It is time to ask the right questions and educate the public about the policy and lifestyle choices related to ionizing radiation. ANSTO CEO Says There are Real, Lasting and Meaningful Careers for Women in Nuclear https://www.iaea.org/newscenter/multimedia/videos/ansto-ceo-says-there-are-real-lasting-and-meaningful-careers-for-women-in-nuclear Adi Paterson, CEO of the Australian Nuclear Science and Technology Organization (ANSTO), talks about his vision of the future of nuclear science and technology and what role women could play in it.Mr. Paterson will be a speaker at the upcoming IAEA Ministerial Conference on Nuclear Science and Technology: Addressing Current and Emerging Development Challenges, in Vienna, Austria, from 28 to 30 November 2018. The event will be livestreamed at iaea.org. You can watch Mr Paterson’s presentation on 30 November 2018.
https://www.independent.ie/world-news/asia-pacific/japan-will-flush-unsafe-water-from-fukushima-nuclear-plant-into-sea-37429128.html, Julian Ryall, October 17 2018 Water the Japanese government is planning to release into the Pacific Ocean from the crippled Fukushima nuclear plant contains radioactive material well above legally permitted levels, according to the plant’s operator. Its plan to release the approximately 1.09m tons of water stored in 900 tanks into the Pacific has triggered a fierce backlash from local residents and environmental organisations, as well as groups in South Korea and Taiwan fearful that radioactivity from the second-worst nuclear disaster in history might wash up on their shores. Tokyo Electric Power Co (Tepco), which runs the plant, has until recently claimed the only significant contaminant in the water is safe levels of tritium, which can be found in small amounts in drinking water, but is dangerous in large amounts. The government has promised that all other radioactive material is being reduced to “non-detect” levels by the sophisticated advanced liquid processing system (ALPS) operated by Hitachi Ltd. Documents provided to ‘The Daily Telegraph’ by a source in the Japanese government suggest, however, that the ALPS has consistently failed to eliminate a cocktail of other radioactive elements, including iodine, ruthenium, rhodium, antimony, tellurium, cobalt and strontium. A restricted document also passed to ‘The Telegraph’ from the Japanese government arm responsible for responding to the Fukushima collapse indicates that the authorities were aware that the ALPS facility was not eliminating radionuclides to “non-detect” levels. That adds to reports of a study by the regional ‘Kahoko Shinpo’ newspaper which said confirmed that levels of iodine 129 and ruthenium 106 exceeded acceptable levels in 45 samples out of 84 in 2017. Iodine 129 has a half-life of 15.7 million years and can cause cancer of the thyroid; ruthenium 106 is produced by nuclear fission and high doses can be toxic and carcinogenic when ingested. 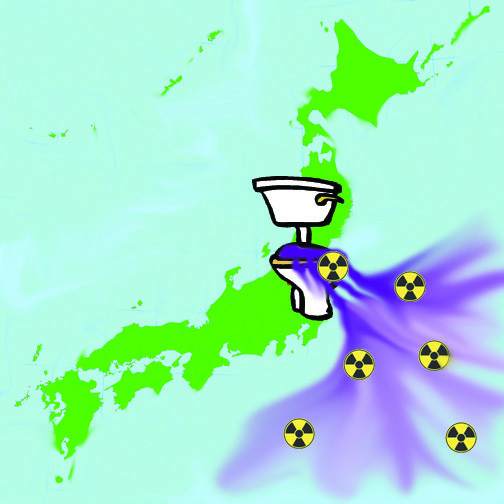 In late September, Tepco was forced to admit that around 80pc of the water stored at Fukushima still contains radioactive substances above legal levels after the Ministry of Economy, Trade and Industry held public hearings in Tokyo and Fukushima at which local residents and fishermen protested against the plans. 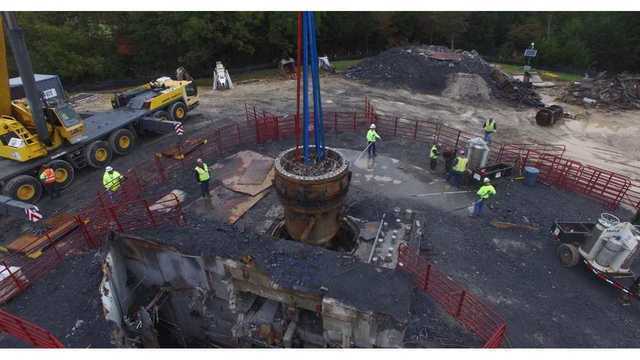 Tepco has now admitted that levels of strontium 90, for example, are more than 100 times above legally permitted levels in 65,000 tons of water that has been through the ALPS cleansing system and are 20,000 times above levels set by the government in several storage tanks at the site. Dr Ken Buesseler, a marine chemistry scientist with the US Woods Hole Oceanographic Institution, said it was vital to confirm precisely what radionuclides are present in each of the tanks and their amounts. “Until we know what is in each tank for the different radionuclides, it is hard to evaluate any plan for the release of the water and expected impacts on the ocean”, he told the ‘Telegraph’. Experts agree the danger posed by any release depends on the concentrations of radionuclides and subsequent contamination of fishery products. The presence of strontium in the bones of small fish that might be consumed by humans could be a major concern. If ingested by humans, strontium 90 builds up in teeth and bones and can cause bone cancer or leukaemia. USA’s policy shaped by Trump’s financial gain from Saudi Arabia? As hard as it is to resist writing about the fact that on Tuesday the president of the United States called the adult film actress to whom he paid hush money “Horseface,” I want to focus on a different aspect of this presidency that we’re seeing play out right now. .As the apparent murder of Saudi journalist and Post contributor Jamal Khashoggi complicates our relations with Saudi Arabia, we have to ask what the implications are of having a fully transactional presidency, one not just built on “deals” but where policy is determined by what is financially beneficial to the president. We should begin by reminding ourselves that as awful as Khashoggi’s apparent murder is, it’s only the latest in a long list of Saudi abuses that administrations both Democratic and Republican have chosen to overlook for decades. The country is a cruel dictatorship that embodies none of the values we as a nation hold dear, such as democracy, freedom of expression, freedom of the press and freedom of religion. But we decided long ago that since the Saudis have a great deal of oil and they provide us with a strategic ally in the Middle East, we’ll overlook all that. There is something unsettling about the fact that Saudi intervention in Yemen’s civil war, in which they have reportedly killed thousands of civilians, has received steady U.S. support, while the murder of a single journalist threatens to upend the relationship between the two countries. Or so you might think. But here’s the reality: This will blow over, not only because of the complex relationship between the two countries, but also because everything in foreign policy is personal with President Trump, and he likes the Saudis. And why does he like them so much? Because they pay him. believing the adjustments do little to fix the “discriminatory” scheme. with a very tough task getting its plans through parliament. ‘”What is the government trying to hide?